iTeach with iPads: Rumor has it! I hope this blog helps other teachers get ideas on how to manage, teach and learn with iPads in the classroom. Apps my class can't live without! APPS I can't live without! 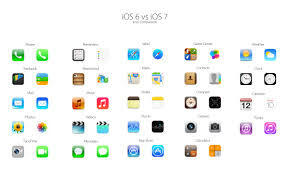 Well it is true IOS 7 will be out this fall, but rumor has it, it will be out June 26, 2013. I have checked it out and it looks pretty awesome! I just hope they get it out before school starts so the kids (mainly teachers) can get familiar with it from day one! I have been a 5th and 6th grade teacher for 16 years in the same school district I graduated from. I have been happily married for 18 years and have 2 children. To save, to grade and to share.....oh my!